CM Regency is quite popular among travelers visiting Jaipur due to its convenient location as it is located within close proximity to a number of landmarks. 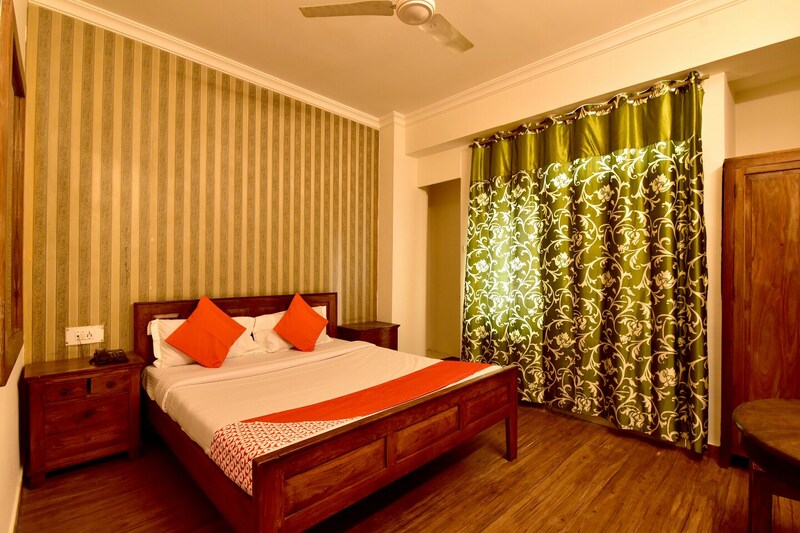 The rooms provided here are quite comfortable and are available at reasonable prices. The rooms are decorated in a minimalist manner. All rooms are well-furnished and have been provided with large windows. The windows are covered with thick and beautiful curtains. The beautiful wallpaper designs also enhance the homely feeling of the rooms. The front desk service is decorated elegantly and is surrounded by a well-furnished reception. The front desk is manned by experienced staff.